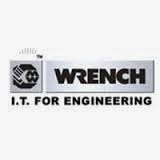 Wrench Solutions Off Campus Drive For 2011, 2012 and 2013 Batch Freshers On18th February 2014. B.Tech freshers jobs in Cochin, Kerala. B.Tech Mechanical, Civil, EEE, AE, EI, IC Freshers are eligible to participate.